Participants will be able to widen their contacts network, explore new ideas and develop international partnerships. 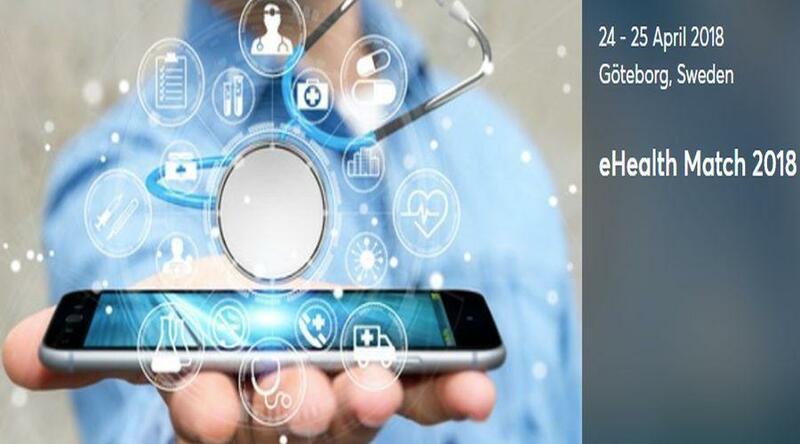 The international event, ‘eHealth Match 2018’ is being organised for 24-25 April 2018 in Gottenburg, Sweden by Business Region Goteborg, Scanbalt and HealthTech Nordic, in collaboration with ‘Healthcare’, Enterprise Europe Network. The event is being held in association with two conferences on eHealth and Medical Informatics, Vitalis and Medical Informatics Europe MIE 2018. Greek participation will be supported by the National Documentation Centre (EKT), co-ordinator of Enterprise Europe Network-Hellas, the Greek node of the European network. The 2 important conferences in these particular sectors are expected to bring together over 5,500 attendees during the three-day high profile event, to share knowledge and further the debate on the future of healthcare. The event is aimed at businesses and bodies active in community care and hospitals/primary care, public organisations, universities, research institutes, clusters, associations and patient organisations. Participants will be able to widen their contacts network, explore new ideas and develop partnerships, through a programme of prearranged 15-minute bilateral meetings. Those interested can register for the business meetings event until 8 April. The event will be held on a first come first served basis, if you have already registered for the Vitalis or MIE2018 conferences. Applications for meetings will close 19 April. Participants will receive a personal meeting schedule. Registration for the event is free, but does not include the entrance fee. Participants are responsible for their own travel and accommodation expenses. For further information, contact the National Documentation Centre (Dr. Christina Pascual, tel: 210 7273954, email: cpascual@ekt.gr). Enterprise Europe Network-Hellas the Greek node of Enterprise Europe Network, offers comprehensive business services in support of businesses with outward-looking and innovative policies in order to strengthen their competitiveness. Enterprise Europe Network-Hellas, in operation since 2008 and with the support of the European Commission, comprises 12 organisations (research and technological organisatons, business associations, chambers, development companies), distributed throughout the country, which facilitate businesses in gaining access to new markets, private and public funding, technology transfer, innovation management, alignment with European policies and participation in consultation on new policies.